For seven seasons, the HBO hit medieval show Game of Thrones has been entertaining fans worldwide. If you’re part of this show’s fanbase, you can’t miss a visit to some of the most beautiful places in the world where the show was filmed. You can tour on your own or participate in organized tours for dedicated fans. It’s such a cool feeling to stand where your favorite show was filmed. According to the site Fandom, some of GOT filming was completed in the beautiful lands of Croatia and Iceland. 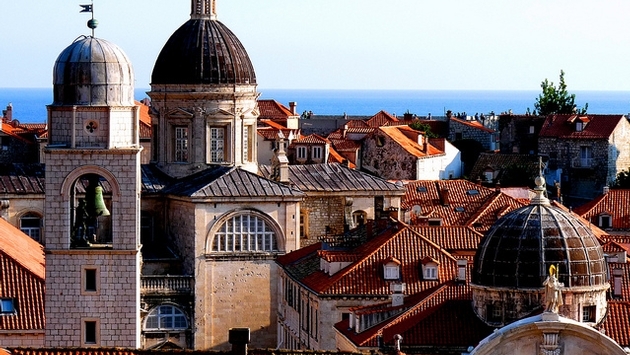 The ancient Croatian port city of Dubrovnik was used in many outdoor scenes that were set in King’s Landing. Filming in Dubrovnik was especially important because it still has its medieval look, which was perfect for the show. The Minceta Tower and fortification is a UNESCO World Heritage site on the Dalmatian Coast in Dubrovnik were used in filming. Several other locations in Croatia nearby Dubrovnik were also used, not just for King’s Landing but for scenes set in Qarth and Slaver's Bay. Many pivotal Game of Thrones scenes have been filmed in the beautiful landscapes of Northern Ireland, including The Battle of Castle Black, which was battle during the Conflict Beyond the Wall and the War of the Five Kings. The towers of Winterfell were filmed at The Stangford Castle Ward Estate and the Castle Ward towers. The gorgeous intertwined beech trees might look familiar from the Road From King’s Landing, which is filmed at the Dark Hedges in Northern Ireland. While you are visiting Northern Ireland, make sure to check out the 400-million-year-old Cushendun Caves where Melisandre birthed the shadow assassin as well as Shane's Castle, a ruined castle near Randalstown in County Antrim, Northern Ireland that is used extensively for filming throughout the six seasons. The abandoned Magheramorne Quarry became the site of the Castle Black set, and several city walls of King's Landing have been used for the Battle of the Blackwater. According to Ireland.com, the Tollymore Forest Park, County Down, became the Haunted Forest where the White Walkers began their march into the realm of men. Also the Shillanavogy Valley, beneath Slemish Mountain in County Antrim, became the Dothraki grasslands, when the Khalasar departs Pentos and rides to Vaes Dothrak. An excursion to Sibenik, a historic city in Croatia, will show you Braavos, a city against the Freehold. Visit Azure Window on the island of Malta where Daenery’s and Dragos wedding has taken place. The Azure Window is a gorgeous limestone natural arch that was created after two limestone sea caves collapsed. The Long Bridge is a GOT structure that is said to be located in the Free City of Volantis. In real life, it is the Roman Bridge located in Cordoba, Spain. Most of the filming takes place in a studio in Belfast, Ireland, but seeing the outdoor scenes in person takes your love of the show to a whole new level.